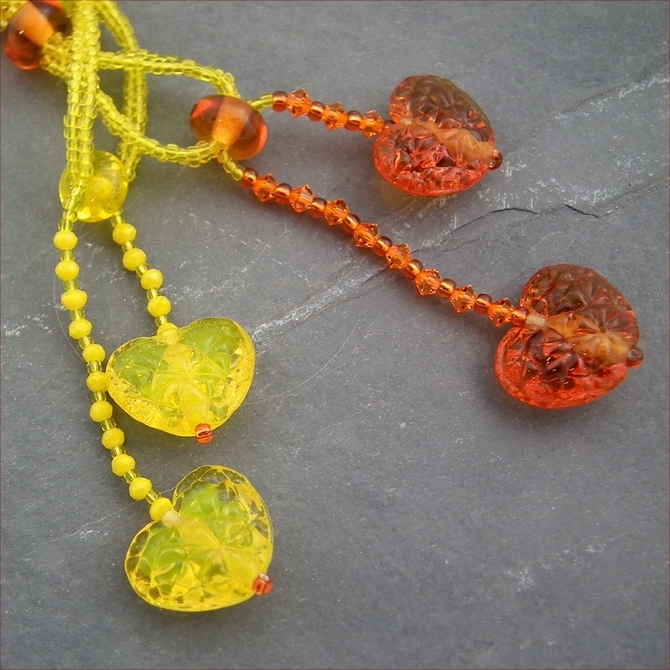 This lariat style necklace features a pair each of handmade lampwork textured hearts in lemon yellow and burnt orange, with two handmade lampwork spacers per pair. The lampwork beads were made by Debbie Dew of Vale Glass Design. 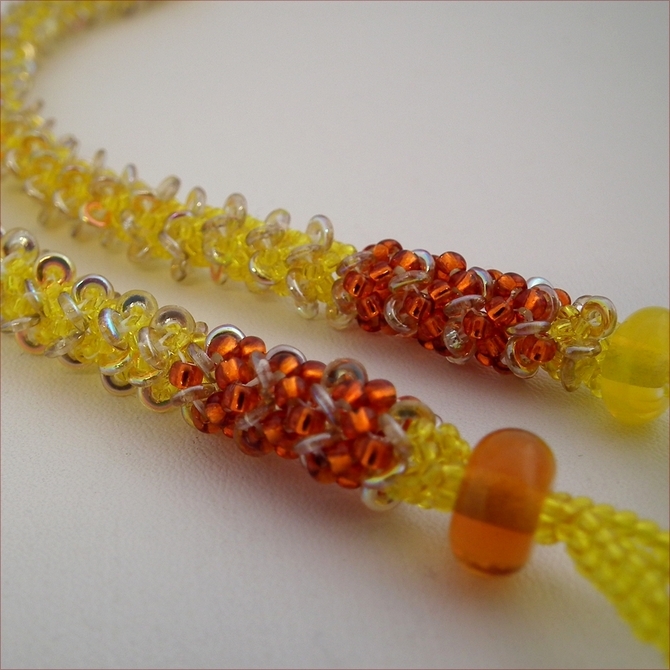 I've created a rope from which they dangle in a modified chenille stitch using acid yellow seed beads with O seed beads (a bit like sequins only in glass and thicker) which gives a nice thick width and slinkiness. I've added a loop at each end of the rope which the heart dangles can be threaded to close it. 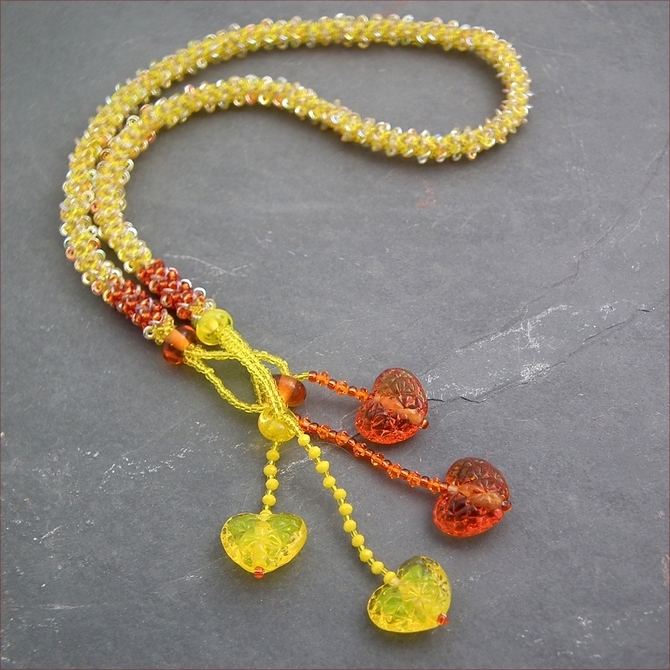 The hearts dangle from strings of Swarovski and Czech crystals. 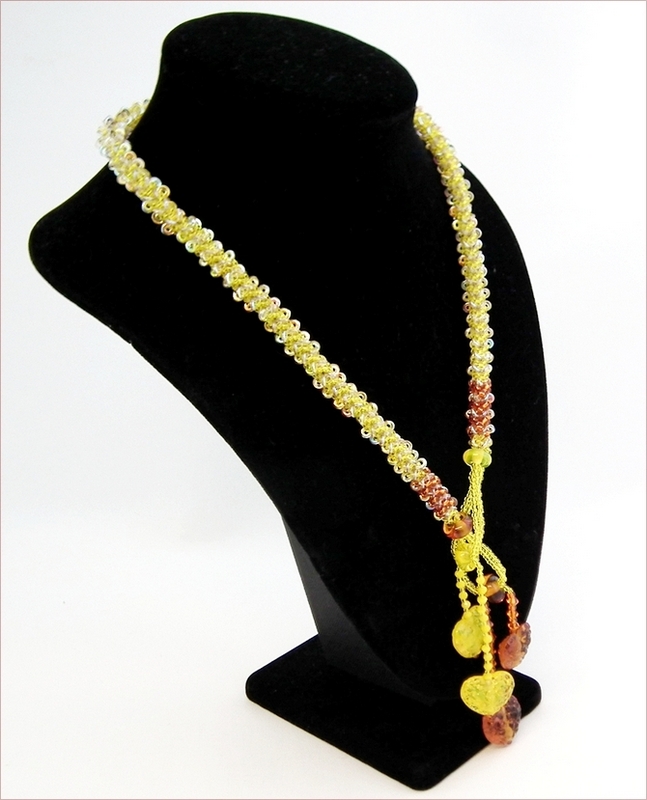 The necklace is 20" (51.5cm) long with a further 4" (10cm) for the dangles. 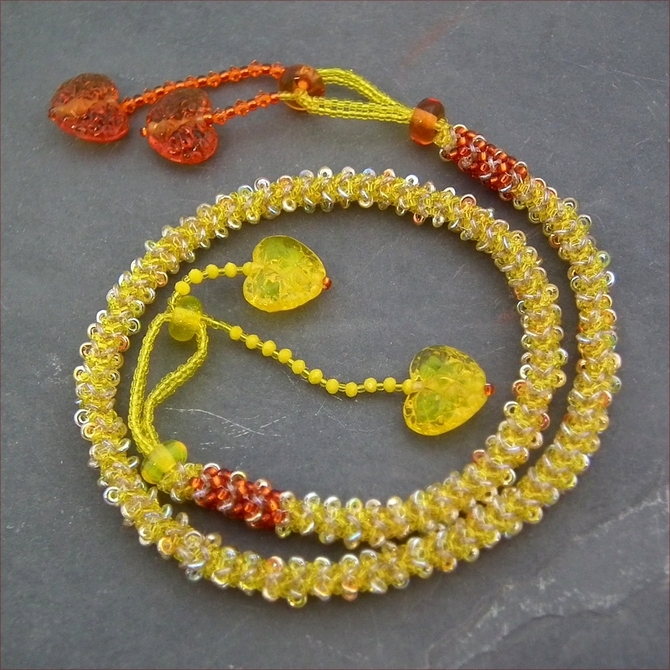 Looks stunning against lime green for the full citrus effect!